I've been working for BolderBand for two and a half years. My favorite part of my job is woking for a family that is worth working for. If you ever have the pleasure of meeting JD and Amy Crouse you will know exactly what I mean. They are the kind of bosses that you want to do good work for! Couple that with a company founded on faith and I'm honored to be their employee. 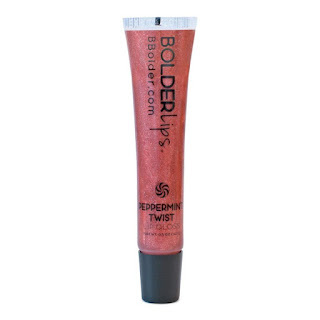 When Amy told me a lip gloss line was coming to BolderBand I was excited and immediately was reminded of something she told me when we were at dinner last year. She said, "I love lip gloss, it takes me from feeling like a four to a seven, just like that." Truth is, I haven't worn lip gloss since high school, maybe college. 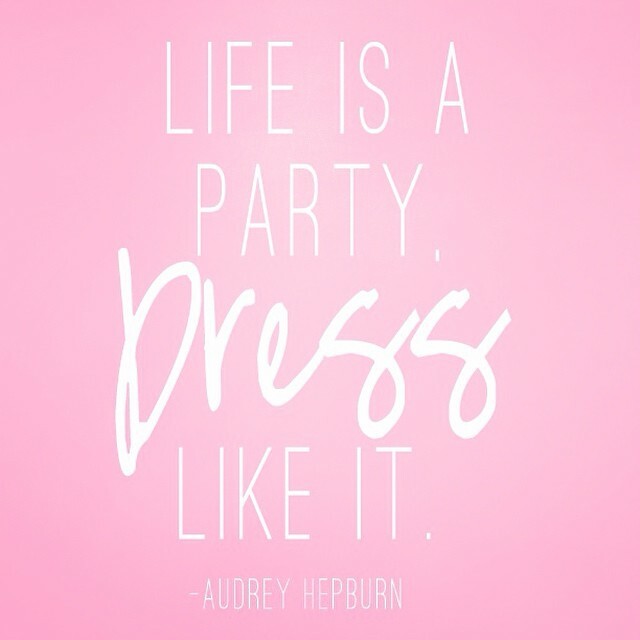 I'm not sure why, because shouldn't we all feel at least like a seven?! Amy sent me the BolderLips gloss collection. Ladies, I've been missing out. I definitely feel like this gloss takes me up to feeling like a seven. I love them all, so do my girls. The best part is that I am happy to share with them because the BolderLips line is made here in the USA and are paraben free! If I have to pick a favorite, it would be the peppermint! I like the rich color as well as the tingle. The best part about the entire collection is that they last! I put my gloss on in the morning and my lips feel hydrated the whole morning. What are you waiting for, jump over to bbolder.com and find your favorite! My husband and I were in the Denver area for six years while he worked for Coors. In the last couple of years his demanding schedule left us with little to no family time. We started dreaming about what it would look like for him to leave the company. One day we decided this was what we felt like we were being led to do. In a two month span we fixed up our house, sold it (thank you to the insane sellers market in Denver) and returned back to the Southern Colorado home town we both grew up in. This move was a choice we made and one we really do feel like we were being led to make. However, it has been more of an emotional process for me. More than I could have imagined. I miss our home, our neighbors, friends and old life. I don't miss my husbands insane work hours, but I miss most everything else. I have been thinking I would get a wrist tattoo with a reminder to look forward, to remember my faith and take life one day at a time. The only problem is I am too indecisive and I am unready to make a permanent decision. 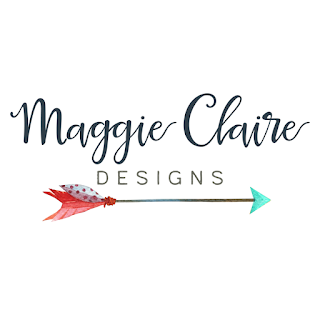 Then I came across Maggie Claire Designs. When I saw the products, specifically the "be intentional" and "Exodus 14:14" bracelets I was intrigued. Perhaps these bands would be a good option for the daily reminder I'm needing in this transition to finding our new normal. The connection I felt to the product was what led me to request a collaboration. Working with Jennifer, the owner of Maggie Claire Designs, has been wonderful. I love how social media can create connections. Since our digital meeting I've enjoyed following her on Instagram and getting to know more about her and her company. I hope one day our paths cross and we can meet in person! If you're looking for a gift with meaning, to shop small and support a hard working mom, look no further. You will love what you see and the customer service is top notch. Something I'm coming to really value as I make purchases this holiday season. While we are building our home we are living in my father in law's full basement. We made it a priority to update this space. New ceilings, paint and carpet. Even though this space is temporary I knew I needed it to be a bright and cheerful area that we will call home for this time frame. The best way for me to make a space ours is to decorate it! When Flipside Prints contacted me to try out their product I was thrilled. Y'all, installation was fool proof. I didn't have to ask my husband for any help! *Bonus: with Flipsides creative magnetic hanging system I didn't have to put any holes in the wall. This is fantastic, as I am notorious for needing about three or four attempts with a nail before getting it right. This is one of my favorite corners in our living space! It feel so complete and cheerful with our new prints! Now, while I'm a self proclaimed summer girl, I do recognize that it is indeed Fall. Having the option to "flip" our prints to a more Fall feel has me loving the versatility of this product! The girls LOVE the prints and have been trying to duplicate the tulips since I put them up! Having the option to move these around the house really makes my heart happy. I am a big fan using what we have in our home and moving things around the space to make it new! Tulips are my favorite flower so selecting our prints was super easy. I am anxiously awaiting a holiday addition to switch out our prints to add some cheer. I'm hooked and want to share this innovative, cute and super easy product with you. Use the code "HANGWITHUS" for $5 off your first purchase with Flipside Prints! I've been searching for stylish and practical clothes for our girls for a while. Here's my dilemma, I really want them to look cute and stylish, but I need their clothes to be simple and practical too. Then I found Ooby Dooby Baby, a company owned by a mom to two girls. Obviously I had to check it out. I loved what I saw! 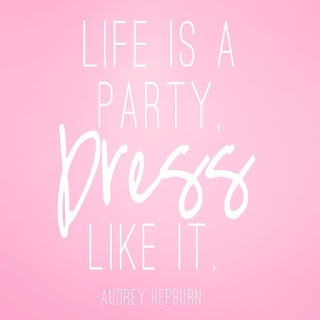 Cute and practical clothes that can be dressed up or rocked plain to make a bold statement. When the opportunity to collaborate with Ooby Dooby Baby came about I knew I had to jump on it! I selected the "I am Brave, Fearless & Strong" tee for Alexandra. If you know her, you know these words define our little curly haired girl. In my mind I had a great expectation for what would come of our photoshoot. Colorado had other plans and threw me a curve ball with an extremely cold (even though it was sunny) morning on the day we had set aside to take pictures. 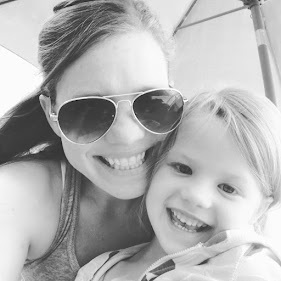 Being the mom that I am I couldn't fight it. I didn't want to force pictures into happening on a day that was proving ready to fight back. So we went home and played for a bit to warm up. Typically I size up when purchasing the girls clothes. Usually they fit for a couple of years when I do this. I don't have to worry about shirts being too short then either. For whatever reason I forgot to size up with this order. Thankfully Ooby Dooby Baby makes pretty much the most perfect tee I've ever put on one of the girls and it fit's exactly how I like them to! Check out Ooby Dooby Baby to find the tee (or bib) that fits your little one. With every purchase the company donates a portion of the sale to ChildHelp, a great organization that helps children who are abused.